The Warren County Academic and Aquatics Center has many benefits for the school system and for Warren County citizens. The center provides swimming and diving for the district’s high schools, filling a void left by the closing of the pool at T.C. Cherry Elementary School, which the schools had been using. Centrally located for all county high schools, the eight lane 25-yard pool with a 12.5-ft. depth is capable of holding swimming and diving competitions. 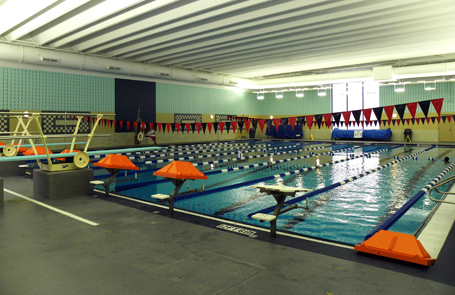 The fitness and training pool, managed by Warren County Parks and Recreation, can hold accommodate 100 people with spectator areas on the deck to accommodate an additional 500 people. Programming includes fitness lap swimming, swim lessons, private parties, and water aerobics for the public.